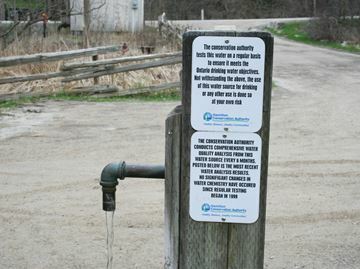 People are free to keep using a popular Ancaster artesian well for the time being, but a sign will warn them that arsenic levels are about double a new provincial limit set to take effect in January. 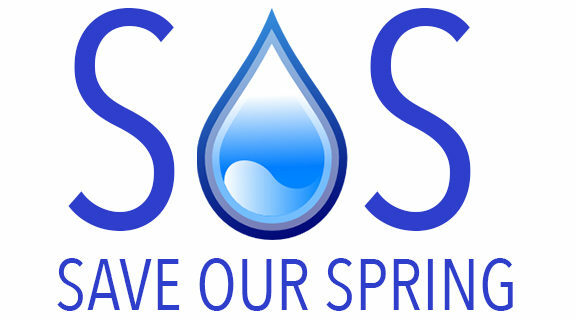 Hamilton Conservation Authority directors voted unanimously last week to defer a decision on the well’s fate until November after Ancaster Coun. Lloyd Ferguson asked for more time to assess their options. Ferguson said posting a warning sign will help the authority determine if people stop using the Sulphur Springs Road well because of the carcinogen. An existing sign already warns that the water’s sodium is slightly above recommended limits and may pose a risk for people with high blood pressure or congestive heart failure. It’s proven non-conditionally that cigarettes cause cancer but we still sell them. So why is it this double standard? Ferguson said he thought he’d read people would have to drink an “almost impossible” seven litres of the water per day over a lifetime to have a one in 100,000 chance of getting cancer from arsenic at the new limit of 10 parts per billion. According to Health Canada, a population of 100,000 people drinking 1.5 litres of water with that much arsenic for 70 years could expect three to 39 additional lung, bladder or liver cancers when all other factors are excluded. That compares to an additional eight to 97 cancers drinking water at the present limit of 25 parts per billion. An authority staff report states that the Ancaster well’s arsenic has consistently tested at between 17 and 23 parts per billion over the past five years. “It’s proven non-conditionally that cigarettes cause cancer but we still sell them. So why is it this double standard? If the public makes their own free decision that they want to drink this water, then why not?” Ferguson said. Despite agreeing to defer the matter, Ward 1 Coun. Aidan Johnson said he saw no option other than to comply with the new limit as recommended by both authority staff and the city’s public health department. He said he’s unpersuaded by Ferguson’s argument the well is an alternative for people who don’t want to drink city water due to concerns about fluoride. “I don’t think we should be making decisions based on people’s demonstrably unscientific beliefs about things,” Johnson said. Stoney Creek Coun. Doug Conley said he didn’t want the authority to base its decision on whether a warning sign stops people from using the well. Ferguson said he isn’t advocating civil disobedience but just wants time to ask Hamilton’s medical officer of health to appear before the board and allow for public delegations. He said fluoride opponents have produced “tons” of evidence against the cavity-fighting additive.